I know…it’s been a long time between posts. My life has been its usual craziness between my day job and working on the new book, but I thought I’d give a quick update on a couple of things. My publisher, Michael Heyward at Text Publishing, gave it a lovely mention in a recent edition of Bookseller & Publisher, so I can now tell you it’s called The Undercurrent and it will be release in August 2017. As I’ve said before, it’s a totally new story set in a near-future Australia and is a stand-alone novel. I’ve also been lucky enough to read a draft of Vikki Wakefield’s new suspense novel Ballad for a Mad Girl (due out in March 2017) and can tell you that it’s spine-chillingly awesome. Okay, that’s it for me for now. It’s been a while since I’ve posted about what I’ve been reading, so I thought I’d rectify that. I’ve managed to squeeze in a bit of recreational reading in between line edits for Shimmer (less than three months until release!) and progressing further on the first draft of Burn. Here are my favourites from the past few months. It’s an eclectic bunch. Click on the cover to read my thoughts on Goodreads (some recommendations are more comprehensive than others!). What have you guys been reading and loving lately? Congratulations to fellow Queensland writer Louise Cusack for the upcoming release of her fantasy trilogy Shadow Through Time as ebooks with Pan Macmillan (only $5.33!). 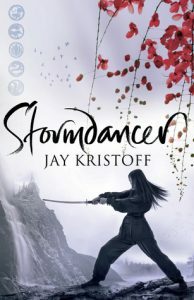 The three novels, Destiny of the Light, Daughter of the Dark and Glimmer in the Maelstrom were originally released a decade ago in print and were popular with readers who like a bit of romance with their fantasy adventures. I interviewed Louise back in my days as a journo and read (and enjoyed!) the books. Louise has been a long-time supporter of other writers, providing mentoring and manuscript assessments, and it’s great to see these books get a new lease on life. The ebooks are now available for presale on Amazon Kindle and within the next few days they’ll also be available in other ebook stores. The official release date is February 15. 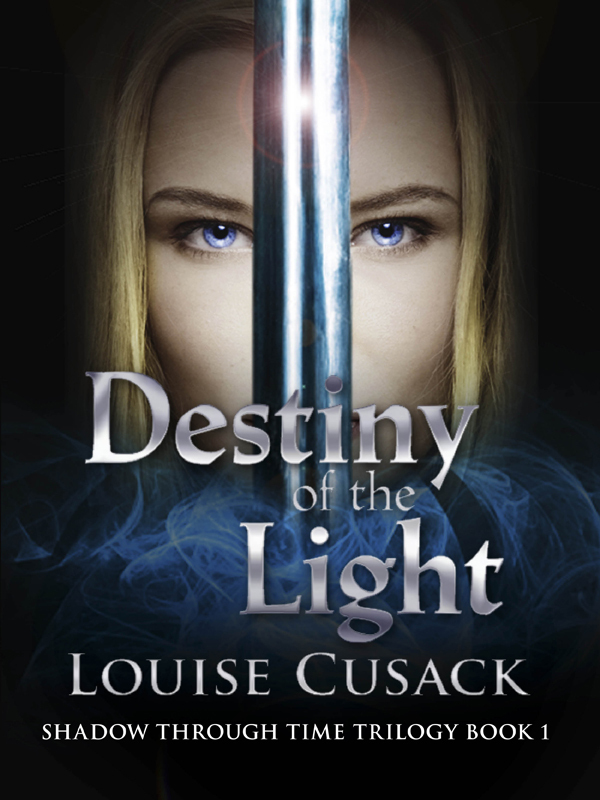 If you haven’t read this series, start with Destiny of the Light (find it on Amazon). There’s something a bit special about reading a story set in your own city. Even better if its urban fantasy. Better yet if it’s good. I heard Trent Jamieson speak at the Brisbane Writers’ Festival last year. I took a shine to him immediately. Such a mild-mannered guy with a dry wit and a deep passion for writing, writers and story-telling – and so respectful of his fans. I went to buy one of his books straight after the session (an entertaining hour with Marianne de Pierres) but someone literally grabbed the last copy of his Death Works Trilogy before I could get to it. It took me another three months before I got around to buying it, but it was worth the wait – I bought it at Avid Reader, where Trent works. And he kindly signed my copy. 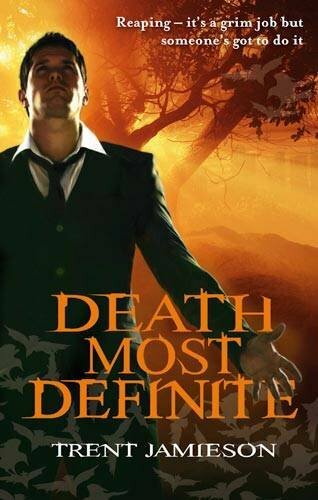 Anyway, I’ve just finished the first instalment, Death Most Definite. It was a great. Very cool in fact. And Mr Jamieson is a very cool writer. He’s not the first to write about Death, or the business of reaping, but he’s done it in a way that’s original and highly entertaining. I love the Brisbane locations and the concept of the massive One Tree straddling a parallel river city in the Underworld. And that Death’s head office is on George Street, along with all the other heavy hitters in town. Brisbane is so much edgier with the undead hooning around in stolen cars, heavily armed, and some of the city’s most iconic landmarks have deeper significance. Death Most Definite is unashamedly Australian, which I also love. If you like well written urban fantasy with heavy doses of dark humor and wit – and you haven’t already discovered Trent Jamieson – you need to check out this series. For more thoughts on Death Most Definite, you can check out my longer review on Goodreads here.